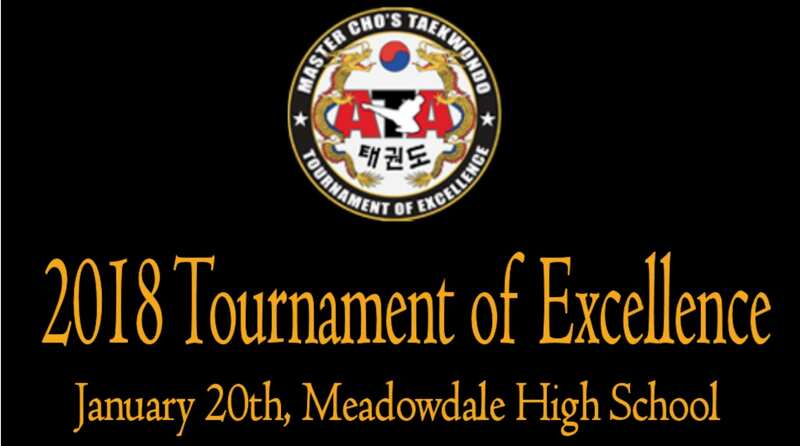 We are pleased to announce Master Cho’s Regional Tournament of Excellence will be held Saturday, January 20, 2018 in Lynnwood, Washington. Special workouts will be held the day before the tournament on Friday, January 19, 2018. Please add these events to your calendar.